Winter is flu season in Australia. Take care, everybody. 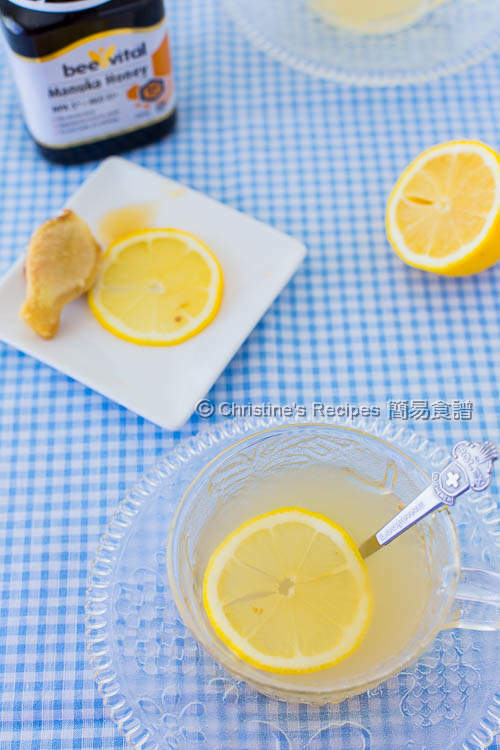 This lemon ginger honey tea can help boost up our immune system. It's tasty and can be made within 2 minutes. To myself, this drink is one of the most delicious flu and cold natural remedies. For ages, ginger has been used to help accelerate blood circulation, fight inflammation and relieve pain due to a cold in Chinese herbal medicine. Lemon contains high levels of vitamin C and helps detoxify our body. But wait, don’t be too hurry in putting in the lemon slices. Otherwise, you’ll lose the goodness of it, even though you still can enjoy a delicious tea. There’s nothing in the world easier than making this tea. But make sure the right steps are followed through in order to get the best out of it. 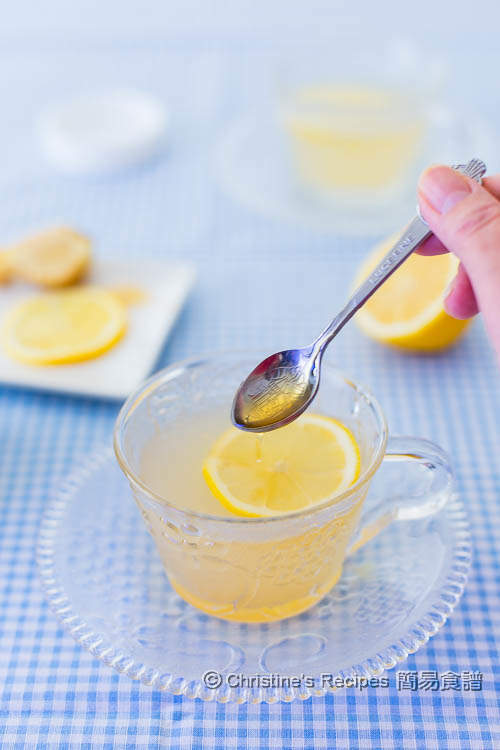 This drink is one of the most delicious flu and cold natural remedies. Peel and grate ginger. Use your clean hands to squeeze the juice into two cups. Pour in some hot water. Let it cool down a bit until you'll get a warm touch. 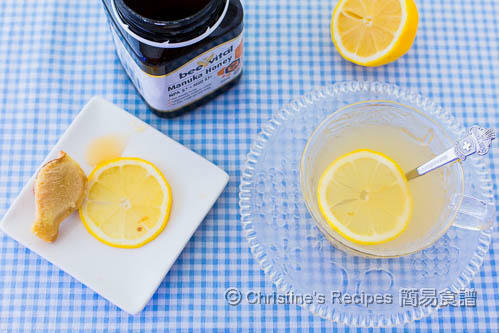 Add the honey lemon slices to your liking. Give a good stir. Enjoy. The amount of ginger juice can be adjusted according to personal preference. In traditional way, we used to boil ginger slices over the stove. By using ginger juice, we can workaround to save much time and energy. And the hot water will bring out the fragrance of ginger. Lemon contains rich vitamin C that can easily be denatured by high heat. So I prefer to wait until the hot ginger water cools down to the point suitable for sipping in, then add the lemon slices. This drink can be served cold too. Stir honey into the ginger water. Chill in fridge. When it’s ready to serve, add lemon slices. I drink lots of lemon ginger tea in winter season too. Thanks for sharing, Christine. I drink ginger tea all year. This was hot ! And so Devine! I feel better already. Thanks for sharing Christine!